The Story: Eddie Brock talks to people on the park bench and describes what has happened to him since Ultimate Spider-Man 38. The entire flashback contains a fight with Spider-Man and Carnage, the reappearance of Gwen Stacy, and an encounter with Beetle. The Good: Ultimate Venom - Why has it taken this long to get him back into a comic book? Ultimate Venom takes everything that is great about classic Venom and builds on it. Even his new 'look' has me excited to find out what is next for him. Art - All of the "Ultimate" titles have great artwork. For me, its a welcome change from the shabby art in other books (ie Amazing Spider-Man). Even the way the panels are laid out make these books more enjoyable to read than other titles out there right now. 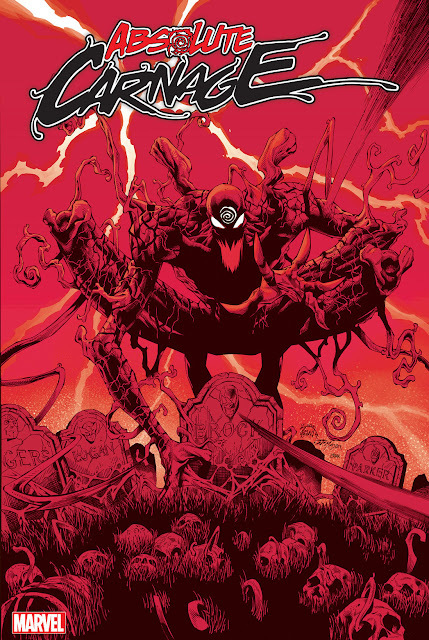 The Bad: Ultimate Carnage - Its not that I didn't like Ultimate Carnage, I just didn't like how he was portrayed. First he shows up out of no where, then there is a fight between him and Ultimate Venom (that had potential to be much longer/cooler), and then he is absorbed by Eddie Brock. So is Eddie Brock now Ultimate Carnage, does Ultimate Carnage even exist anymore? Ultimates - I've never really been a fan of the Ultimates and their appearance in this series brought it down a notch. Granted, they weren't the main focus of the story; however, the times Spidey was talking to them was just boring filler. The Overall - 4 outta 5. I want more Ultimate Venom! I look forward to seeing what the future holds for this new ginormous, red-eyed Venom.